This match was a good way to start the official card. Enzo and Big Cass are consistently entertaining, and Jericho and K.O. are arguably two of the best in the WWE. The pacing was great, the end was pretty awesome, and I found myself wanting to see jeri-KO team more often. Enzo and Cass have a bright future and titles in their future. These are two of the women responsible for the Women’s Revolution, and sadly, this match didn’t live up to its potential. There were quite a few botched spots here, painfully so, which isn’t like either of these two women. With Sasha dropping the belt and vanishing for a bit to heal from injuries, maybe we will see Bayley appear to challenge the Flair dynasty. Or maybe they will finally push the fiery redhead, Becky Lynch, who has been so underused since moving up to the main roster. The belt that used to have such prestige has lost its luster in the last few years. The Champion, The Miz, shouldn’t be to fault here. He is great in the ring, he knows how to get the heat from the fans, and has a beautiful wife/manager at his side. It’s the quality of opponents that they put in line for the belt. Crews is a powerhouse, and agile more than anyone would expect, but they didn’t build him up all the way, making for a somewhat one-sided title defense. One of the two best matches of the night. This match showed why AJ Styles name deserves to be in the title hunt, and why John Cena is the man to go through. Both of these guys outdid themselves. This was a spot fest, a test of strength, and a match that had fans on the edge of their seats. AJ picks up the win, showing he is the man to watch on Smackdown Live, and Cena continues to cement himself as the hardest working man in the WWE. This match started off with such promise, as both teams are superb. Everything was going well until Jon Stewart reared his Summer Slam killing head around, and then it turned into a circus. That, coupled with the DQ thanks to Big E, made what was supposed to be a top-notch match into a throwaway match from WWE Superstars. This match, on paper, sounds amazing. But sadly, it was sluggish, predictable, and just another match to push Ambrose’s dominance. I was a huge fan of The Shield, and I am a fan of all three superstars in their solo careers, but Ambrose seems to stick to the same moves, same speed, and when you are against someone like Ziggler, that hurts the match. I have constantly said Zigger can make anyone look good, and he does his best here, but in the end, we get a mediocre match instead of two titans fighting for the greatest prize in the game. Probably one of the oddest matches on the card, and for being so far up on the card is a mystery. I always love to see Becky Lynch in the ring, she’s a spitfire that explodes at a moments notice. Naomi, like Becky, is very underrated and is solid in the ring. Carmella, though new to the WWE, has the look and charisma to make it, she just needs to work on her ring skills. Their opponents: Natalya, who has sadly become a jobber to any new woman poised to make a splash, Alexa Bliss, who I think will go far now that she’s on the main roster, and the returning Nikki Bella, who is always a joy to see. Sadly, the match was predictable, with Nikki’s return being the main highlight. The other of the two best matches for the evening: Balor’s entrance and paint this time looked awesome, as it rightfully should for the biggest match of his career. Rollins is easily one of the best in ring technicians in the WWE, and this match proved it. Balor, who has been impressive since NXT and way before that, showed the intensity and talent he has, and why his name should be on the marquee. Sure, he’s out for a few months with an injury, but what a comeback it will be. This was one of the biggest disappointments of the night. Not even a match, this was a head shaker. This could have been a fantastic match, much like the two had on Raw earlier in the week. Instead we get a waste of time. The second biggest disappointment of the night happens to be the main event. The match 15 years in the making was the same old song and dance from Brock. Lesnar, a man who clearly has the wrestling capabilities in him with his storied past, once again resorts to endless German suplexes and strikes. Orton did his part, but this was a one-sided match for the most part. Maybe a message to Connor McGregor regarding his WWE comments, what it was is a letdown to another disappointing Summer Slam. Rating for the whole event overall: 7.0 out of 10. I feel this rating is a bit high, but I really did enjoy the Cena/Styles match as well as the Rollins/Balor match, and the opening match was pretty good in its own right. But with the missteps like Ambrose/Ziggler, the Reigns/Rusev fiasco, and the lackluster main event, 7.0 is the highest I could give the event. 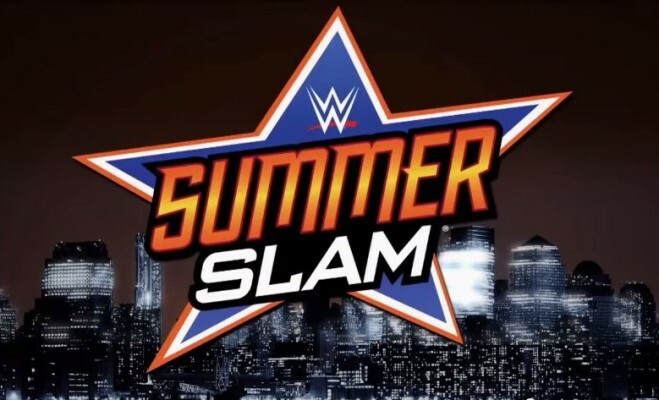 Summer Slam was always one of the original PPV specials the WWE had, in the same breath as the Royal Rumble, Wrestlemania and Survivor Series. But this Summer Slam fizzled far more than it sizzled. Next Monday Night Raw or Smackdown Live for the Week of August 22nd- Who Won?